The human condition is not always a pleasant one. From mental illness to drug dependency, disease and other debilitating conditions can greatly reduce an individuals quality of life. However, depending on your symptoms, there may be a practice that can help. Specifically, the meteoric rise of Ketamine infusion treatments are now sparking a trend as a possible cure for many conditions. Ketamine is a medication used to begin and maintain the effects of anesthesia. When taken, the substance may cause hallucinations, pain relief, memory loss or even induce a trance-like state. The substance was approved for use within the United States in 1970 and has seen extended use as an essential medicine. Ketamine would eventually pick up attention as a recreational drug for its hallucinogenic properties. 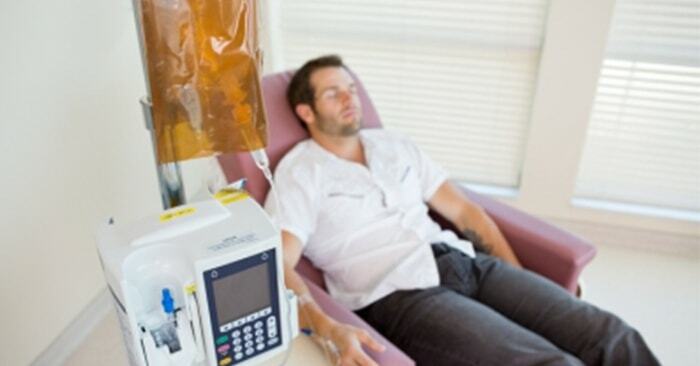 Ketamine infusions, however, are performed by medical professionals at clinics specializing in the treatment of many conditions. There are a few different ways the infusions are completed, but an IV drip is perhaps the most common. By inserting a small, controlled dose of the substance into the patient’s system, a bevy of beneficial effects may be experienced for those with debilitating conditions. Depression is no laughing matter. An estimated 6.7 percent of adults have suffered at least a single depressive episode just within the past year. There are many causes of depression, some may be more subtle than others. Low testosterone, also known as “low t,” is known to be a cause of depression in many aging men. A study published through the National Center for Biotechnology Information in 2014 by a series of researchers found that Ketamine infusion was “rapidly effective” at improving the symptoms of those suffering from treatment resistant depression (TRD). Pain can be debilitating. While a headache or stomach ache can pass in just moments, some individuals suffer much longer lasting instances of discomfort in what eventually become chronic conditions. A study completed by Leiden University Medical Center Department of Anesthesiology’s M. Niesters has reported that Ketamine infusions are often used to aid various chronic and acute pain syndromes. However, the researcher warns that the substance’s psychotropic qualities may cause negative side effects for those receiving long term treatment. Consequently, M. Niesters concludes that the practice should largely be used for those suffering from therapy resistant chronic pain. Opiod addiction is seemingly rampant within the United States, as well as the world over. That being said, a study published within the National Center for Biotechnology Information has since claimed that ketamine infusion has beneficial effects for those suffering from the condition. Opiods make for effective pain killers. However, the substance also offers an extremely high risk for substance abuse. Addictive and ultimately damaging to the body after long term use, opiods can be dangerous. Weaning off of an opiod addiction is no easy task. Within the previously referenced study, a series of researchers discovered that Ketamine infusions were a possible alternative treatment for using painkillers to help those suffering from opiate addiction. For more information or to book an appointment, please contact us here.